Born in 1952 in Daegu, South Korea, he debuted in 1957 as a child actor. 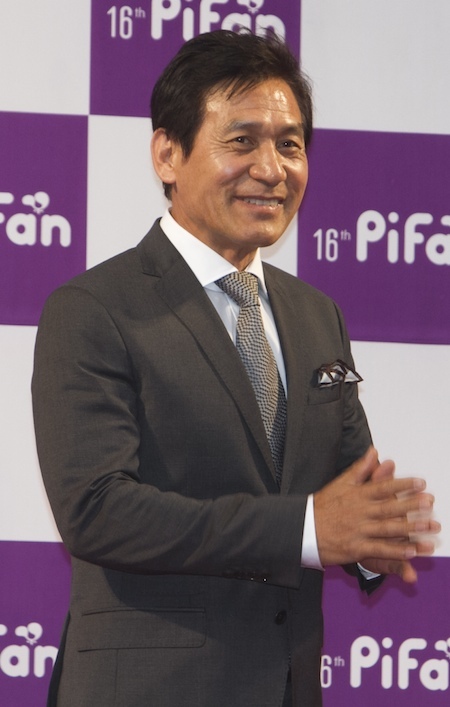 He is one of Korea's most respected international actors, with a history of numerous best actor awards from domestic and Asia-Pacific film festivals. In 1996, he was awarded the "Sports Nipon Art Grand Prize" with "Sleeping Man" directed by Okuri Kohei, a renowned Japanese director. His long list of films also includes "Deep Blue Night"(1984), "White Badge"(1992), "Two Cops"(1993), "Festival"(1996), etc. An extremely prolific actor, according to a recent article in the JoongAng Daily, the 2015 movie "Revivre" marks Ahn Sung-Ki's 128th film appearance. tp Jun 05 2015 4:15 pm Sir, you are such a good looking & first-class actor. I truly adored you in "the devine move". I'll definitely be watching more movies in which you are in. Best wishes to you! JIHO Aug 23 2014 10:52 am I think it was an open ending.. I've seen a lot of films and Fair Love's ending was indeed really confusing. My take is that they both regretted and hope to start over again.